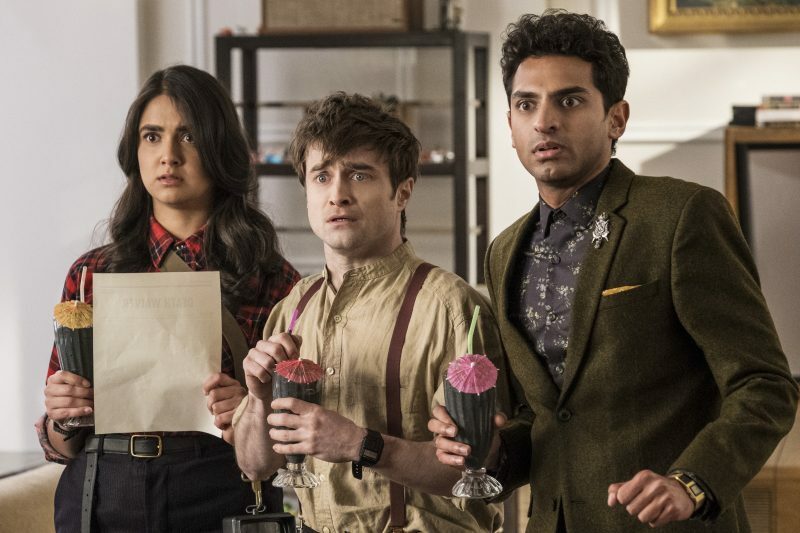 "Even Harry Potter can’t save 'Miracle Workers'"
“It’s way too late to help Earth,” a newly-transferred angel is warned at the beginning of TBS’ new comedy Miracle Workers. While that may not be news, I’m afraid the only headline I can craft after watching the pilot of this show is it’s way too late to help Miracle Workers. 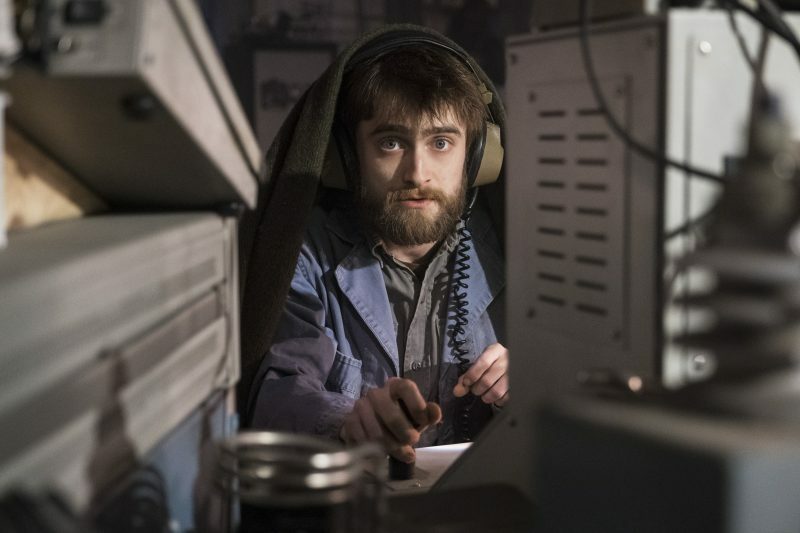 The show, based on a novel by Simon Rich, is not necessarily ill-conceived but is poorly executed and may serve as an example of a show with enormous potential that ran afoul in the planning stages. For now, we can just call it God Hates Me. 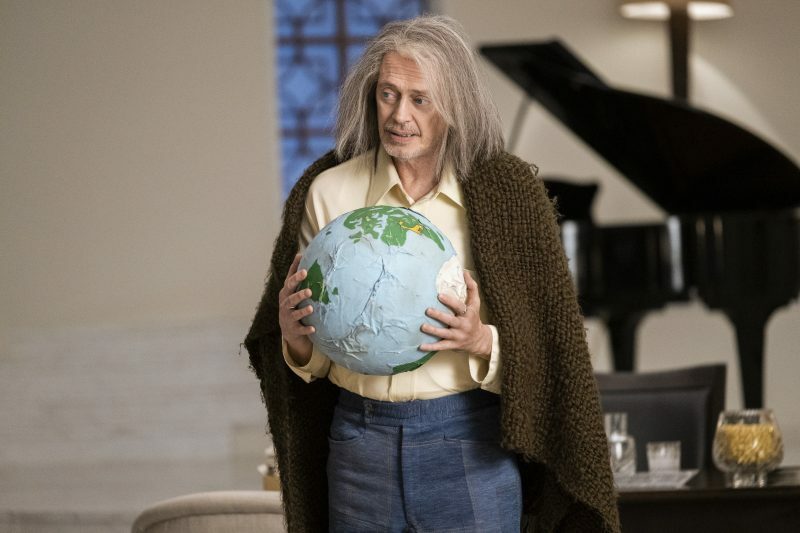 The show’s premise is relatively simple: God (Steve Buscemi) is frustrated at all the wars, hate crimes, environmental chaos, and problems on Earth and has decided to simply “blow it up” and move on to some other project. When he announces that news, it causes quite a stir at a big company in the sky, Heaven, Inc., where countless low-energy workers (angels) have been working on projects like creating rainbows, helping evolution along, and (more importantly) answering prayers. Enter the protagonists of our show, Craig (Daniel Radcliffe) and Eliza (Geraldine Viswanathan), the only two members of the Department of Answered Prayers. Most of the prayers they receive get stamped “unanswerable” and sent up to God (who promptly ignores them). The prayers they typically answer are mundane and simple (like helping people find their keys or a missing glove). But Eliza, who just transferred from “The Department of Dirt” is the dreamer of the two and wants to work on larger, more meaningful pursuits. When she makes a bet with God that she can answer an “unanswerable” prayer in two weeks, the game is afoot. The prayer she chooses to answer seems simple, but is apparently difficult, much to the delight of God: help two people fall in love and have their first kiss. If they do this in two weeks, the Earth will be saved. So Eliza and Craig have a very limited time to help two lonely Earthlings while saving the planet (and their own jobs) in the process. It could have been a very funny show: potentially an Office in the heavens with God a humorous, if not misguided, Michael Scott figure hell-bent (pun intended) on destroying the Earth. Instead, Buscemi’s God is a bit too everything. At times he acts much like Doc from Back to the Future, half crazy and spastic. At other times he’s overly depressed and viewers are more likely to want to ship him Prozac than laugh at or with him. By the end of the pilot, his anti-Earth antics come off as tired and mean-spirited. The writing isn’t funny enough to be biting. In fact, one wonders if they realized the potential they had in “Heaven, Inc.” as a location instead of Earth. Creating enough cast members with their own idiosyncrasies and yet adding a bit of warmth at the end of each episode may have been more charming as a whole and much funnier than the “do one wish or in two weeks Earth will explode” main plot this show is about to take viewers on. The “later this season” preview seems even less promising as we head to Earth. What a waste. Radcliffe and Viswanathan are certainly the bright spots here--earnestly playing hapless angels who genuinely wish to do good in a system that makes it almost impossible. Perfectly cast as the down-on-their-luck protagonists, they muddle about (pun intended) while navigating the rules of how they can help (without crossing any of the rules of Heaven). Hopefully the show gives them better material to work with as the episodes continue. But as a whole, this show is frustrating. There’s not enough warmth and you don’t know if you are supposed to feel sorry for God or angry that he’s given up. If this is dark comedy, it’s not quite dark enough. You can certainly make some really meaningful points about Earth’s flaws, but the show seems to throw away those with trite one-liners instead of in meaningful ways that can stay with the viewer. I’m not sure that the show’s writers know what tone they’re going for, and that’s never a good thing. I’m an optimist, but I think it would take a miracle for me to become a believer in this show.